In 1871, Henry Sidgwick, who taught at Trinity College, established Newnham College, a residence for women who were attending lectures at University of Cambridge. As Sidgwick pointed out: "When, in accordance with the general plan formed in 1870 for developing the system of lectures for women in Cambridge, it became necessary to find a lady to preside over the house destined to receive external students, my first idea was to ask Miss Clough; and though her refusal for a time turned my thoughts into other directions, I never doubted that her acceptance of the post would be the best possible thing for the new institution. My desire for her co-operation was partly on account of her long devotion to the improvement of the education of women; but it was partly due to the fact that I thought she would be in special sympathy with the plan on which the work at Cambridge to be conducted." Anne Clough was invited to take charge. She later recalled: "By 1873 twenty-two out of the thirty-four professors of the university granted formal leave to women students to attend their lectures, and a few years later this twenty-two had grown to twenty-nine." By 1879 Newnham College was fully established with its own tutorial staff. 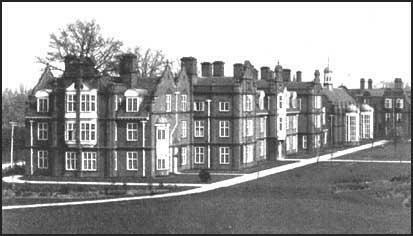 There were thirty students at Newnham and twenty in two supplementary houses. A further twenty-five students in lodgings. One of Newnham's first students, Mary Paley, later admitted that at first there was a certain amount of conflict with Anne Clough. "I believe we were all hard-working and well-intentioned, but during that first year there was a good deal of friction between Miss Clough and some of us. I think we were almost entirely to blame, and I never cease to be astonished at our want of appreciation in those days. We did not understand her at all. I believe if she had had more weaknesses and limitations, we should have liked her better. We failed to see the great outlines of her character, her selflessness, her strong purpose, her extraordinary sympathy. She had some obvious faults of manner, and these we did see and probably exaggerated." In 1889, Mary Bateson, a former student, was appointed as a lecturer on English constitutional history at Newnham College. She served on the college council, and took part in the unsuccessful effort of 1895–7 to have women admitted to full membership of the University of Cambridge. In 1903 Bateson was awarded a Newnham research fellowship. Upon the expiry of her fellowship she gave the money back to the fund to assist other scholars. Bateson was a frequent contributor to the English Historical Review. She also provided 108 biographical articles to the original edition of the Dictionary of National Biography. As Mary Dockray-Miller has pointed out: "The subjects of all these entries are men; they include saints, monks, and noblemen. Some date to the Anglo-Saxon or early modern periods; most cluster in the Anglo-Norman and high middle ages." Whereas Emily Davies at Girton College insisted that her students studied the same subjects as men and be expected to pass similar exams, at Newnham, Anne Clough and Henry Sidgwick devised special courses for its undergraduates. Sidgwick also opposed the teaching of Greek and Latin, which formed a necessary preliminary for a degree at University of Cambridge. Sidgwick had argued for a long time that classics had dominated boy's secondary education and he did not want the same thing to happen to girl's education. In June 1890, Philippa Fawcett became the first woman to score the highest mark of all the candidates for the Mathematical Tripos at the University of Cambridge. This news produced a great deal of excitement at Newnham, and was widely reported in the national press. The following year she sat part two of the tripos, which was considered to demand more originality and ingenuity of candidates. Once again she showed her talent by being placed, together with Geoffrey Thomas Bennett, the male senior wrangler of her year, alone in the first class. As Rita McWilliams Tullberg points out: "Bennett was made a fellow of St John's College, awarded the university prize for mathematics, and lectured for the university. Fawcett was not eligible for any such lucrative posts or prizes." 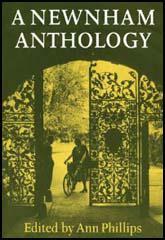 In 1891 Mary Sheepshanks went to Newnham College to study medieval and modern languages. In her unpublished autobiography she recalled: "College life meant for me a new freedom and independence ... The mere living in Cambridge was a joy in itself; the beauty of it all, the noble architecture, the atmosphere of learning were balm to one's soul ...To spend some of the most formative years in an atmosphere of things of the mind and in the acquisition of knowledge is happiness in itself and the results and memories are undying. Community life at its best, as in a college, brings contacts with people of varied interests and backgrounds and studying a wide range of subjects. Friendships are formed and new vistas opened. For a few years at least escape is possible from the worries and trivialities of domestic life." Flora Mayor went to Newnham College to study history. Soon after arriving at Newnham her father, Reverand Joseph Bickersteth Mayor, wrote to her about the dangers of developing progressive political and religious views at college: "You will probably meet people of advanced views at Newnham, and some of our friends thought we were rash in letting you go there, but it is no longer possible for women to go through the world with their eyes shut, and if the highest education is reserved for those who have already a tendency to scepticism, or who belong to agnostic homes, it will be a very bad look-out for English society in the future.... Your position is probably better than that of most of your companions, both socially and intellectually, and in time you ought to be able to exercise some influence. That God's blessing may be with you through this eventful year is the earnest wish and prayer ot your affectionate father." Mary Sheepshanks developed a close relationship with Florence Melian Stawell: "Florence Melian Stawell... was the most striking personality at Newnham at that time. She was an Australian student of outstanding ability, striking physical beauty and grace. On one occasion when she entered a room full of people a man exclaimed, At last the gods have come down to earth in the likeness of a woman! ... She was in fact one of those rare individuals endowed with every gift... Melian Stawell was in her third year when I went up, and I saw a good deal of her and learnt much from her." Flora Mayor agreed with Sheepshanks assessment of Stawell. She told her sister Alice how she met Stawell: "Miss Stawell was very nice and just think in the evening she asked me to dance with her and afterwards to come and see her. Unenlightened as you are you don't know what an honour that is but she is absolutely the Queen of the College... I did feel proud. She dances most splendidly." Margaret Tuke argued that Newnham College had a positive impact on these young women: "At Newnham I saw women more reasonable, more contented, less petty than I had known them elsewhere. I saw them seriously determined to understand some of the problems of the world, imbued with the expectation of what education could do for women, with aspirations for a good above that of everyday life." Newnham College encouraged the students to teach adult literacy classes in the poor working-class district of Barnwell. This experience turned several of these women into social reformers. This included Mary Sheepshanks, who became a strong advocate of women's suffrage. Her sister, Dorothy Sheepshanks, recalled that, "Mary came to hold very advanced views in many respects, views of which father disapproved." John Sheepshanks, who was Bishop of Norwich at the time, was so shocked by Mary's views on politics and religion that he insisted that Mary must not spend any of her future university vacations at home. Early students at Newnham College included Katharine Glasier, Susan Lawrence, Mary Hamilton, Margery Corbett-Ashby, Mary Bateson, Philippa Fawcett, Mary Sheepshanks, Flora Mayor, Frances Partridge, Margot Heinemann, Margaret Tuke and Rosalind Franklin. (1) In her book on Anne Clough, Blanch Athena Clough explained how in the early 1870s Henry Sidgwick gradually persuaded teachers at Cambridge University to allow women to attend their lectures. By 1873 twenty-two out of the thirty-four professors of the university granted formal leave to women students to attend their lectures, and a few years later this twenty-two had grown to twenty-nine. In the case of several of the professorial lectures there were special reasons against opening them to women, and, in particular, the admission of women to the medical lectures was not asked for either at that or any later time. Gradually, also, women were admitted to lectures given in college halls or lecture rooms. St. John's College, even as early as 1871, permitted one of its lecturers, Mr. Main, to give instruction to women students in the chemistry laboratory of the college, and this Mr. Main constantly did, usually at an early hour, such as 8.30 a.m. before lectures to undergraduates began. (2) In 1897 Henry Sidgwick was interviewed about how Newnham College was established. When, in accordance with the general plan formed in 1870 for developing the system of lectures for women in Cambridge, it became necessary to find a lady to preside over the house destined to receive external students, my first idea was to ask Miss Clough; and though her refusal for a time turned my thoughts into other directions, I never doubted that her acceptance of the post would be the best possible thing for the new institution. My desire for her co-operation was partly on account of her long devotion to the improvement of the education of women; but it was partly due to the fact that I thought she would be in special sympathy with the plan on which the work at Cambridge to be conducted. 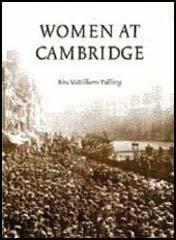 (3) Mary Paley was one of the first students to join Newnham College in October 1871. In October 1871, Mary Kennedy, Ella Bulley, Edith Creak, Annie Migault, and I came to be with Miss Clough, and in the following term we were joined by Felicia Larner, and one or two others. We lived very much the life of a family; we studied together, we had our meals at one table, and in the evening we usually sat with Miss Clough in her sitting-room. We did our best to keep down household expenses: our food was very simple; we all, including Miss Clough, not only made our beds and dusted our rooms, but we helped to wash up after meals, and we did the domestic sewing in the evening. I believe we were all hard-working and well-intentioned, but during that first year there was a good deal of friction between Miss Clough and some of us. I think we were almost entirely to blame, and I never cease to be astonished at our want of appreciation in those days. We did not understand her at all. I believe if she had had more weaknesses and limitations, we should have liked her better. We failed to see the great outlines of her character, her selflessness, her strong purpose, her extraordinary sympathy. She had some obvious faults of manner, and these we did see and probably exaggerated. She did not dress well, and she had a certain timidity and irresoluteness. The venture of women's education in Cambridge was a new one: she was, I think, a little afraid of us, and did not know what we might do next. She had not had much to do with girls of our age before, and perhaps she treated us too much like schoolgirls. She did not quite enter into our notions of fun: perhaps she took things a little too seriously, and so she did not gain our full confidence in those early days. (4) A student who arrived at Newnham College in 1875 later recalled her first impressions of Anne Clough. In the early days she was always nervous lest the students should attract attention and criticism by any eccentricity in dress or conduct, for her great desire was to be unnoticed, and to make it clear that this little colony of women was harmless and inoffensive. Much of this care and watchfulness seemed unreasonable to the students, and no doubt Miss Clough pushed it to excess; but she probably did, by means of it, avoid dangers which could hardly otherwise have been guarded against. To spend some of the most formative years in an atmosphere of things of the mind and in the acquisition of knowledge is happiness in itself and the results and memories are undying. Community life at its best, as in a college, brings contacts with people of varied interests and backgrounds and studying a wide range of subjects. Friendships are formed and new vistas opened. For a few years at least escape is possible from the worries and trivialities of domestic life. At Newnham I saw women more reasonable, more contented, less petty than I had known them elsewhere. I saw them seriously determined to understand some of the problems of the world, imbued with the expectation of what education could do for women, with aspirations for a good above that of everyday life. My education in Cambridge came entirely from my fellow-Newnhamites ... For the first time we made friends. The slow exploration of another human being, the discovery of shared perplexities and interests, the delight in our new companions' gifts and, maybe, beauty (for beauty was not wanting in those years) - these were excitements. Many of us made friends who remained faithful to us all our lives.